At SMH Auto Sales our goal is to provide the best customer service that any customer could ever receive any where. Whether you are going out to eat or booking a reservation for a birthday party customer service will dictate your overall experience. The same is true about buying a vehicle. We do whatever it takes to make sure our customers feel good about purchasing a vehicle from us through every step of the process. Our customers are free to come look around our lot without high pressure sales staff breathing down their necks, customers are welcome to come in to our store and meet all of our staff, and our customers are more than welcome to come just to do a little research. If some one does decide to purchase from SMH Auto Sales we will do our absolute best to make sure that you get the financing you are looking for and that every detail is explained thoroughly so that customers can understand every part of their purchase. 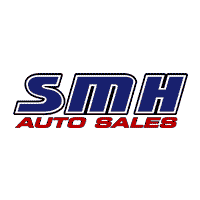 After you make a purchase from SMH Auto Sales we will continue to follow up to monitor how your vehicle is doing and to ensure your continued happiness. If by chance there is an issue with your vehicle after you take it home please give us a call, we will not turn our backs on you. So many times customers believe they are getting a great deal from other dealers only to find out that no one is there to help when some thing goes wrong right after the sale. At SMH we understand that vehicles are mechanical products and there is a possibility of something happening once in a while. Even brand new vehicles can have problems, that is why the Lemon Law was created, to protect you! We can’t always be the lowest price, we can’t always have every vehicle, but we can treat you right all the time! That is what SMH Auto Sales is about, quality vehicles, great customer service, and helping our friends and neighbors! If you are shopping for a vehicle in or around Frederick MD, keep SMH Auto Sales in mind.